This case examines a rare condition known as Body Integrity Identity Disorder, in which an individual has a persistent and consuming desire to become an amputee. 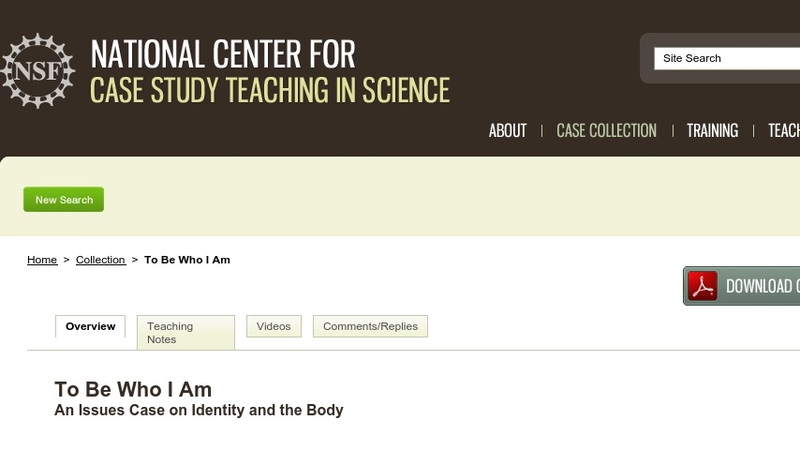 Students apply Charles Horton Cooley’s theory of the “looking-glass self” to explore factors that play a role in the creation of identity and self-concept. They further compare and critique cultural attributions of deviance to different forms of body modification and explore the apparent contradictions inherent in a desire condemned as deviant by society, yet expressed in terms of values widely promoted by that society. The case is appropriate for introductory sociology courses as well as upper division and/or topics courses in social psychology, deviance, medical ethics, research methods, and disability studies.